HERAT -- A growing number of farmers in Herat Province are abandoning poppy cultivation for saffron, according to local officials working to encourage the spread of the small purple flower as an alternative crop. "In most Herat districts, saffron cultivation has replaced opium," Bashir Ahmad Ahmadi, the deputy director of Herat's Department of Agriculture, told Salaam Times. "If we compare the current year with the previous few years, we notice that most poppy cultivation took place in Ghurian and Pashtun Zarghun districts of the province," he said. "Now, however, the largest areas where saffron is harvested ... are in the two aforementioned districts." "Currently, 95% of Afghanistan's saffron is cultivated and harvested in Herat, to the point that the province has been named the saffron capital of Afghanistan," Ahmadi explained. 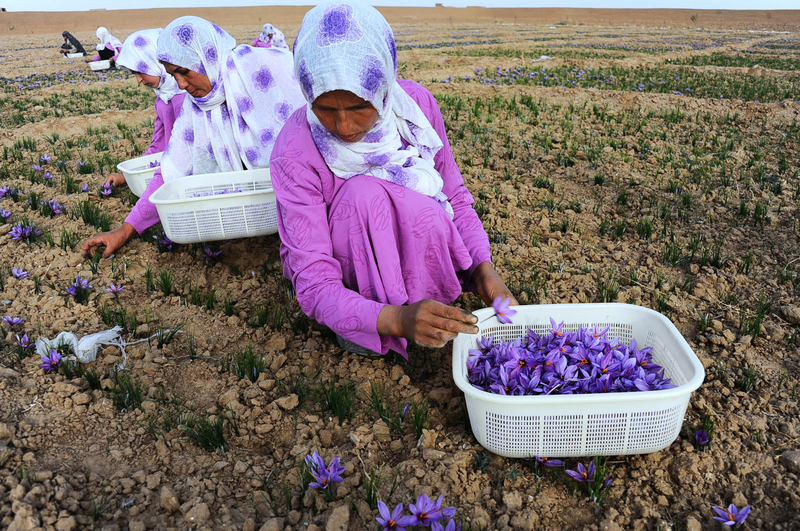 The Afghan government has been working to provide opportunities to help develop saffron cultivation in Herat, which is providing thousands of Afghans with jobs, local authorities say. "Saffron has become a good alternative to opium poppy cultivation in Herat," Herat deputy governor Muhyuddin Nuri told Salaam Times. "It is also a good opportunity to create jobs in the province," he said, adding, "Districts such as Ghurian, Zanda Jan, Guzara, Injil and Pashtun Zarghun, among others, are good locations for saffron cultivation." "We are trying to bring saffron bulbs to five other districts located near Shindand and to promote this crop in these insecure districts," Nuri said. Saffron is a low maintenance and high yielding crop, making farmers particularly interested in cultivating it. "Besides needing less water and being far less labor-intensive, saffron is more profitable and is an alternative to opium cultivation," Nuri noted. 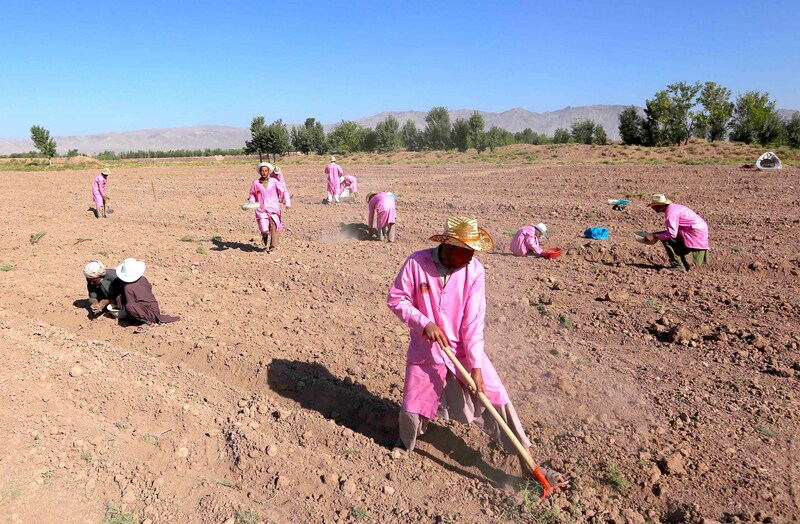 "Opium fields in most districts of Herat have now turned into saffron farms." "The suitable market and high demand for saffron in Afghanistan and around the world have caused Afghan farmers to stop cultivating narcotics and to grow saffron as an alternative crop," he added. "Our reports indicate that before saffron cultivation become prevalent, opium was cultivated in 13 districts across Herat Province," Ghulam Rasool Haidari, chief of Herat Province's counter-narcotics department, told Salaam Times. "Opium cultivation has already fallen to almost zero in those districts." 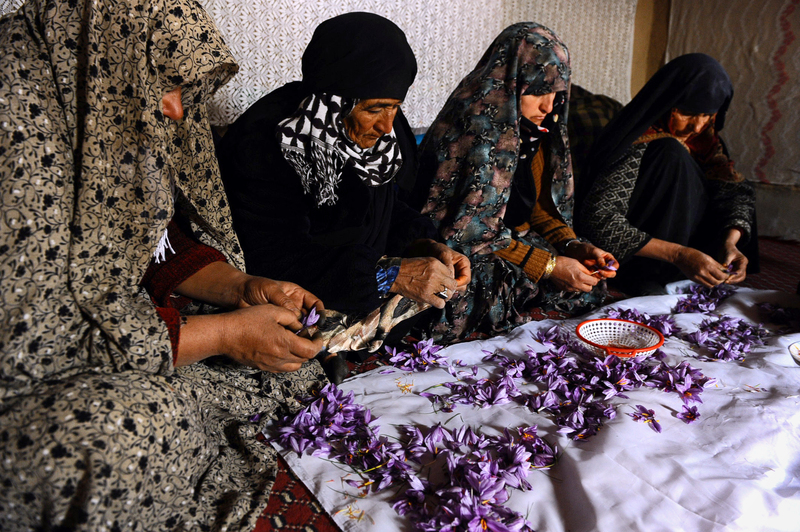 "Farmers also earn a good profit for cultivating saffron in Herat," he added. In addition to yielding higher profits from saffron, farmers say they recognise the danger in cultivating poppies. "We previously used to cultivate opium, but it has been many years since we have cultivated this haram [forbidden] crop," Yusuf Shah, a 60-year-old farmer in Zanda Jan District, told Salaam Times. "We call on the government to help us in cultivating a legitimate crop so that our people can be saved from the destructive narcotics cultivation." "We stand with our government, and we detest opium cultivation. Never again do we want to cultivate opium when we see our youth as drug addicts," said Aqagul Pahlawan, 42, another farmer in Zanda Jan District. "In the past, farmers and villagers lacked awareness and were cultivating illicit drugs. But they are now vigilant and are no longer practicing in this haram business," local farmer Abdussattar, 45, told Salaam Times. "Farmers have no interest in cultivating drugs, and we expect the government to co-operate with us in wheat and saffron cultivation," said Abdurrashid, 38, another farmer from Ghurian District. "I urge farmers of other provinces to cultivate saffron instead of narcotics, for saffron is a clean and halal crop, the proceeds of which are also halal," he told Salaam Times. Last year, more than $10 million (760.5 million AFN) worth of saffron was produced in Afghanistan, most of which it exported to various countries, including China and India, according to Ahmadi of Herat's agriculture department. "This year, the rate of saffron cultivation in Herat is higher than the previous year's," he said. "Last year, we had more than 5,000 hectares of land under saffron cultivation. This year, however, the cultivation of saffron in the province exceeds 7,000 hectares." "We produced about ten tonnes of saffron last year, while this year, we expect to produce more than 12 tonnes of saffron," he noted. The increase in saffron production has provided thousands of residents with jobs and a legitimate income, Ahmadi explained. "More than 12,000 families are now cultivating saffron," he said, adding, "Besides farmers, their families are involved in the process of saffron cultivation." "Saffron is the only spice that is purchased and sold by the gram," said Abdurrahim Umid, an economist in Herat Province. "Every gram of saffron is worth anywhere between $2 and $8 [152 AFN and 608.4 AFN], though in Afghanistan this crop has not received the deserved value and attention." "Saffron has the necessary ability to revolutionise Afghanistan's economy, provided that the Afghan government pays due attention to this matter," he told Salaam Times. He suggested the government curb the import of saffron bulbs and crops from neighbouring countries, mainly Iran, in order to prevent a decrease in the value of Afghan saffron. Afghan saffron has repeatedly won acclaim as the world's best, but criminals mix low-quality saffron smuggled from Iran with Afghan saffron or market the Iranian variant as Afghan, tainting the reputation of the product. On October 7, President Ashraf Ghani banned the imports of saffron and saffron bulbs in an effort to protect the product's budding local market, primarily in Herat Province. Inferior Iranian saffron is illegally entering Afghanistan via mafia circles and then is exported globally as Afghan saffron, according to Abdulsabur Rahmani, director of the Herat provincial agriculture department. "Iranian saffron cannot find international buyers because of the international sanctions against Iran," Rahmani told Salaam Times in October. "In addition, the low quality of Iranian saffron has considerably damaged the reputation of Afghan saffron on international markets," he added.